One of the most troubling things for me about watching newspapers go through what they’re going through is that none of it is really necessary. I mean, yeah, I’m really upset that so many of the watchdog’s of democracy are dying off, but I’m even more upset that there’s so much they can do save themselves. In fact, I even spoke about it at PodCamp Toronto 2010. Social News Organizations: Public Parks vs Walled Gardens – the new news media will rely on subscriptions, but registration/subscription will be free. 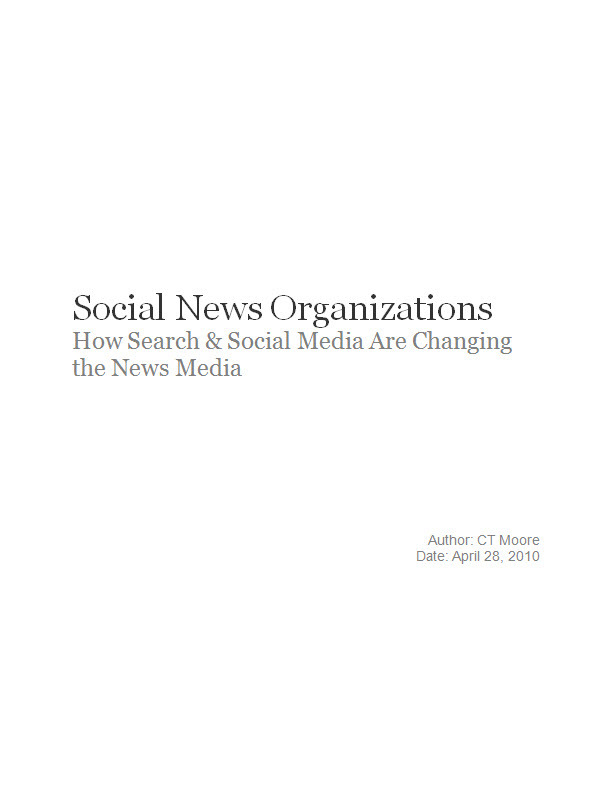 News Organizations & SEO – rather than blocking search engines from their content, news media can be using them to attract new readers and drive registrations. News Organizations & Social Media – there are a number of tools and APIs that news media can (1) be using to engage, acquire, and retain new users, and (2) access data on those users that can be used to guide editorial and bolster ad targeting. News Organizations & Mobile Apps – the mobile web is not only growing exponentially, but offers news media an opportunity to (1) retain users, and (2) target their content and advertising by geo-location. News Organizations & Diversified Ad Offers – with the data and targeting abilities available to them through social media and the mobile web, news media outlets are in an excellent position to offer advertisers much more flexible and targeted ad placements. Just finished a website for a major Asian magazine and it’s amazing how clueless some media agencies are about news on the internet. Local newspapers have the potential to take over their local market online…. but they will have to radically modify their business plan and focus on new delivery methods including widgets, geo, social, etc.